1. Tube Material: PU, NYLON, PE, PTFE, PVC. 2. 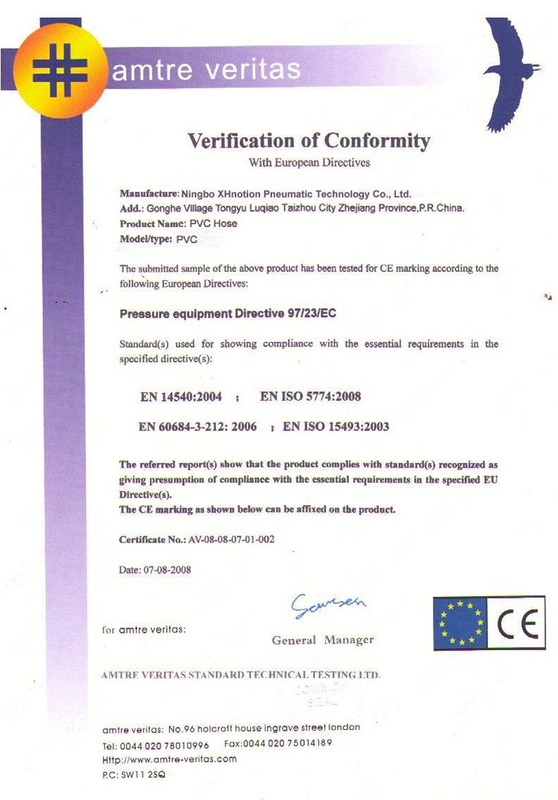 Outer Diameter: millimeter or inch size. 3. Inner Diameter: millimeter or inch size. 5. Tube Color: Transparent with blue or other colors are available; regular tube color: blue, transparent, Â Â Â black. 2. Enough meters per roll and can mark meter on the tube as you request. 3. Print your logo above 3000 meter each size. 5. Rich stock for every size and regular color. 6. 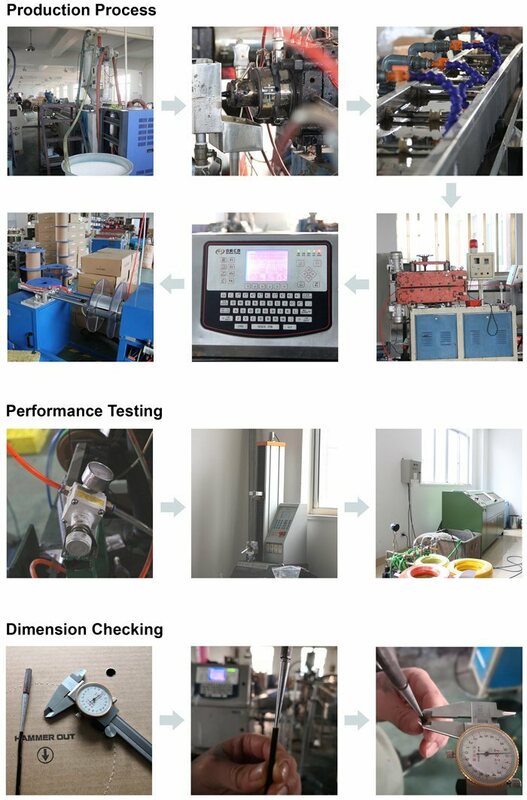 1Â yearÂ qualityÂ assuranceÂ afterÂ shipment. XHnotion originate from notion between pneumatic power and human. In Chinese, XHnotion stands for 'we do, we promise' Â we read it 'X-notion'. The company XHnotion Pneumatic was founded in 2007 and has developed with a steadilyÂ growing success to a reliable partner for international establishedÂ clients. 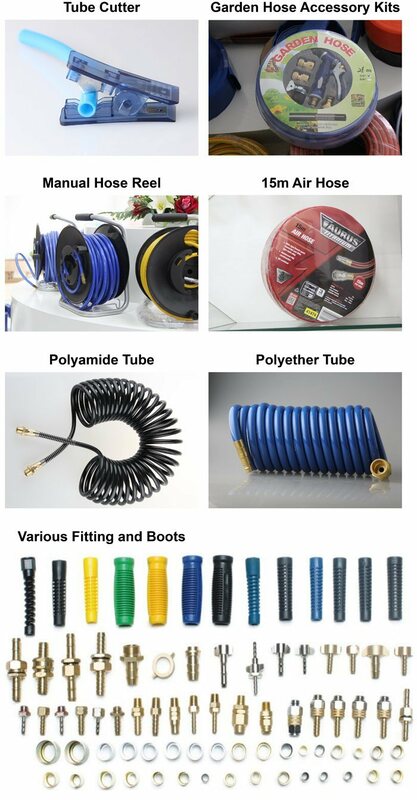 Â Â Â silicone hose, rubber air hose are all available. Â Â Â makeÂ sureÂ eachÂ partÂ exactlyÂ asÂ theÂ drawingÂ andÂ goodÂ function. 3.Â WeÂ willÂ replyÂ youÂ withinÂ 24Â hours. 4.Â WhateverÂ quantityÂ youÂ areÂ requesting,Â weÂ alwaysÂ offerÂ youÂ theÂ bestÂ quality. 5.Â 3DÂ drawing,Â CAD drawingÂ serviceÂ forÂ customÂ fittings,Â hose,Â valve,Â cylinder. ForÂ regularÂ tube,Â freeÂ samplesÂ againstÂ yourÂ courierÂ accountÂ orÂ youÂ pickÂ upÂ fromÂ us. ForÂ customÂ items,Â weÂ willÂ discussÂ byÂ email. IfÂ thereÂ isÂ anyÂ problemÂ duringÂ thisÂ period,Â pleaseÂ contactÂ usÂ forÂ support. we are specialized manufacturers from China, Roll Forming Machine, Hydraulic Shearing Machine suppliers/factory, wholesale high-quality products of Hydraulic Bending Machine R & D and manufacturing, we have the perfect after-sales service and technical support. Look forward to your cooperation! We specially manufacture and export Hydraulic Shearing Machine, You may also find other Hydraulic Bending Machine, Hydraulic Uncoiler, Hydraulic Plate Machine etc. We also call them metal working machine.